In January 1964, and in the absence of any other information, Macleod now or of The Spectator, used the pretext of a review of a book by Randolph Churchill to publicise his own different and very detailed version of the leadership election. He described the "soundings" of five Tory grandees, four of whom, like Home and Macmillan had been to school at Eton, as a stitch up by an Etonian "magic circle". 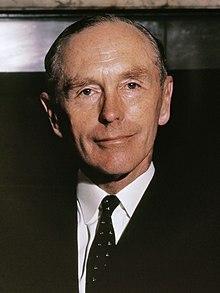 The article received wide publicity convincing Anthony Howard, who later declared himself "deeply affronted ... and never more affronted than when Alec Douglas-Home became leader of the Conservative Party".